When the enemies of the Daqan Lords march on the free cities, it is left to passionate and disciplined soldiers to defend their homelands. Reinforced by the mystical Rune Golems that serve as stone sentries on the field of battle, little can stand against the forces of Daqan. 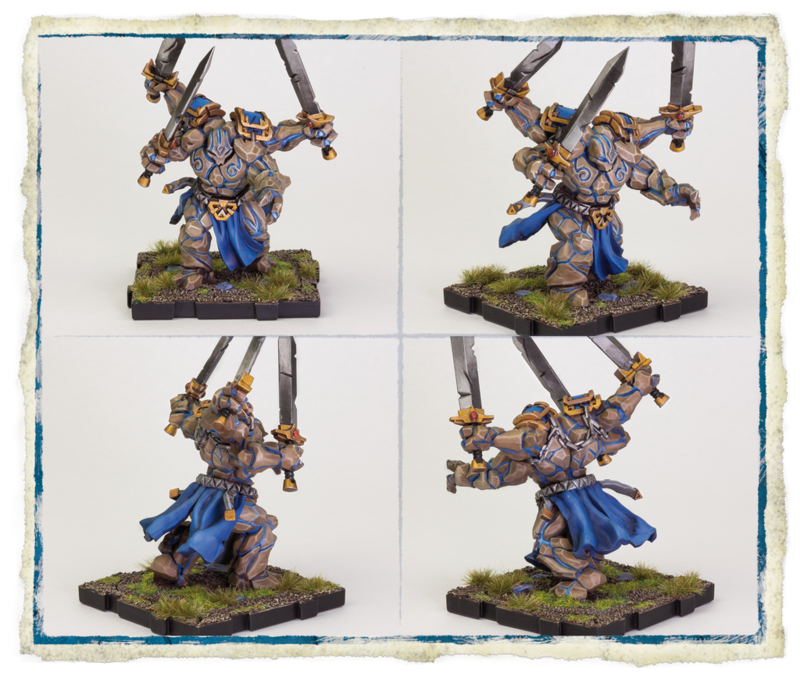 Today, we’re previewing two expansions for Runewars Miniatures Game, the Rune Golems Unit Expansion and the Spearmen Unit Expansion, both serving as ways to enhance and customize your Daqan Lords armies. In the direst of times, the lords and wizards of the Daqan can use ancient secrets to awaken Rune Golems, the massive, silent stone guardians of the baronies. These massive monstrosities are a rare site on the battlefield, but when they do appear, few can stand in their way. Slicing through cavalry and infantry with ease, the Rune Golems faithfully serve their lords and will stop at nothing to crush all who oppose them. The Rune Golems Unit Expansion features two Rune Golem Plastic Figures, one identical to the Rune Golem figure found in Runewars Miniatures Game Core Set and one in an exclusive new pose, as well as eight upgrade cards and a variety of tokens to enhance your Runewars Miniature Game experience. The Rune Golems are an intimidating force in the Daqan Army—using stable energy, they can both stun opposing forces and gain threat equal to the number of stable energy tokens on the field. 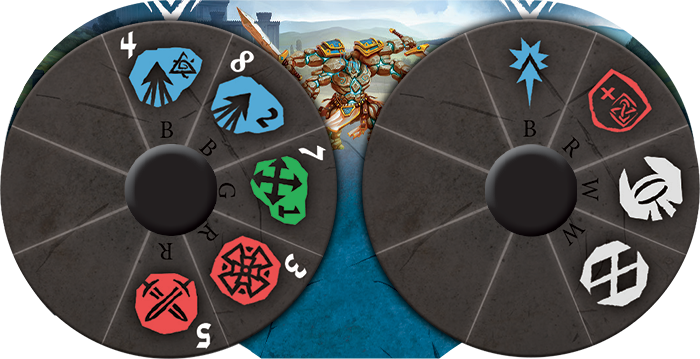 While their reliance on runes may make the Rune Golems seem like a risky choice, their modifier dial allows them to count an additional stable energy when they perform a melee attack or special ability, giving them much needed consistency. 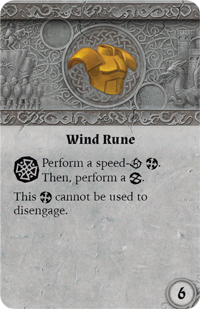 The new upgrade card Wind Rune allows the Rune Golems to use natural energy runes to give them greater mobility, using a special modifier to perform a shift and reform action. This allows any upgraded unit to quickly change positions to get the edge in combat. 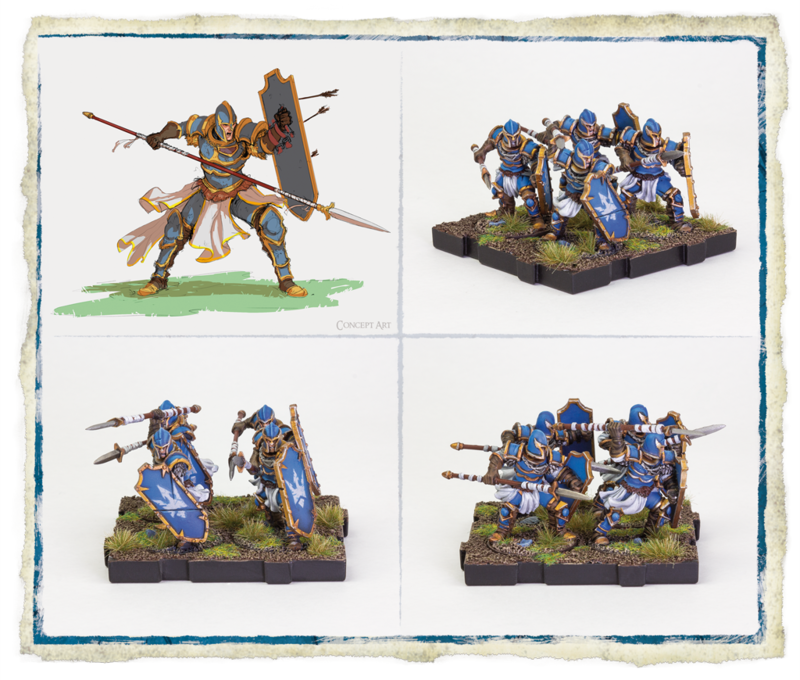 The Spearmen Unit Expansion features eight spearmen plastic figures in two plastic infantry movement trays, perfect for expanding on the Spearmen found in Runewars Miniatures Game Core Set. 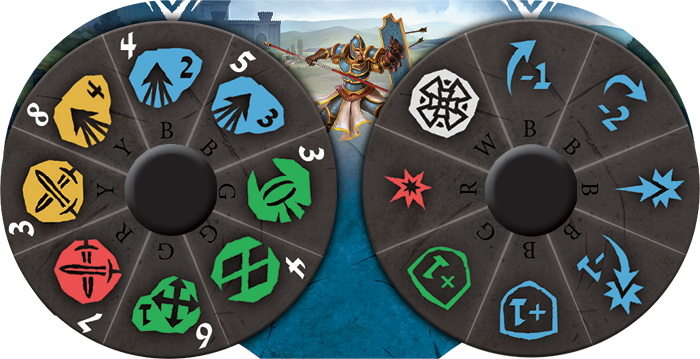 The expansion also includes a variety of tokens to expand your Runewars Miniatures Game collection. Like the imposing Lord Hawthorne (to be previewed at a later date), these Spearmen can spend surges to receive inspiration tokens, avoiding harmful bane conditions. With an inspiring presence, these Spearmen are sure to lead the charge against any enemy of Daqan. The Spearmen command tool affords them a wide swathe of mobility options, their speed two and three marches can be modified by five different blue modifies, including two separate charge actions and an extra defense, ensuring they will always be in the perfect position and well protected. 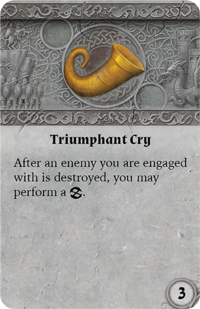 The Spearmen Unit Expansion Pack also contains five upgrade cards, including Triumphant Cry which allows them to reform after an enemy they are engaged with is destroyed, putting the Spearmen in the perfect position to attack their next foe. With the Spearmen Unit Expansion and the Rune Golem Unit Expansion, your Daqan forces will be as numerous as they are brave. Raise the banners of the Daqan Lords and purchase the Rune Golem Unit Expansion (RWM04) and the Spearmen Unit Expansion (RWM07) from your local retailer when it hits stores in the third quarter of 2017.